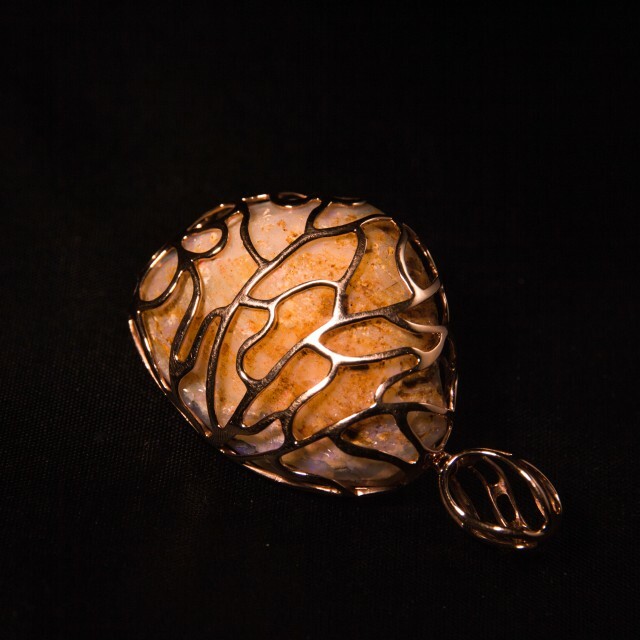 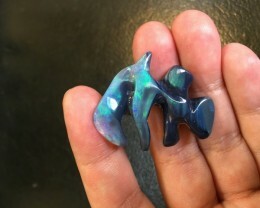 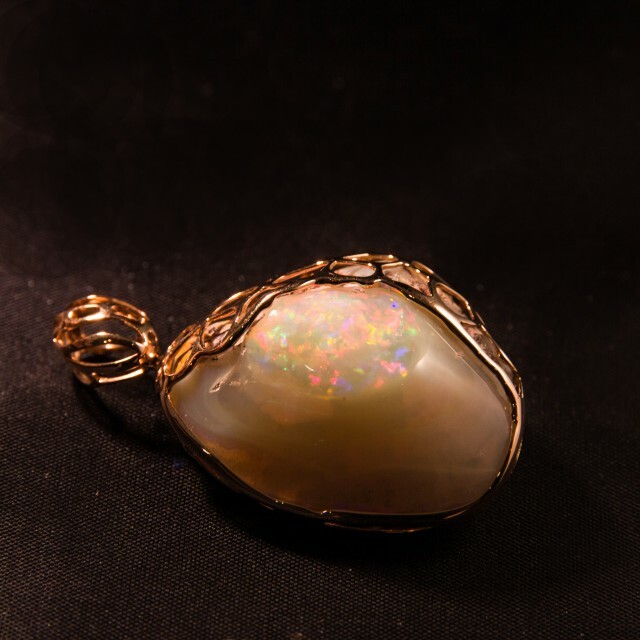 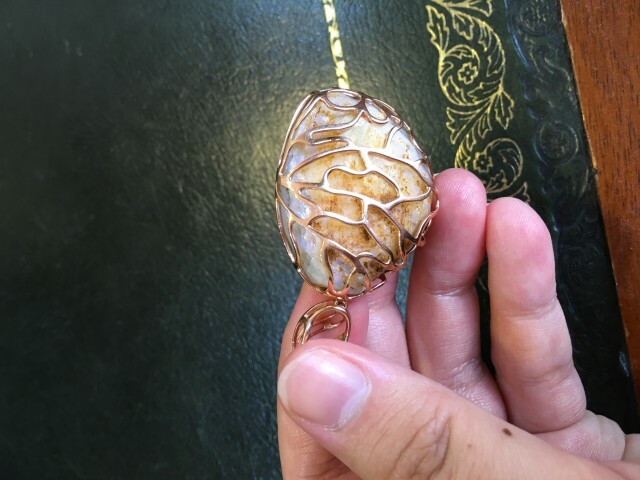 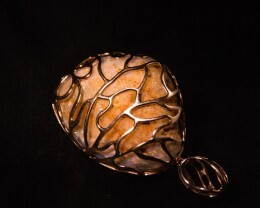 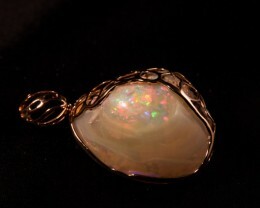 This fossil shell opal came from Coober Pedy region South Australia. 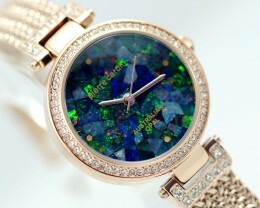 It is fitted with 18K rose gold. The shell is in good shape. 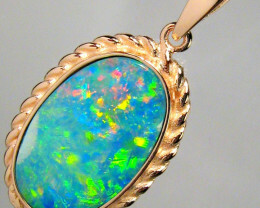 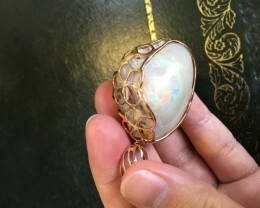 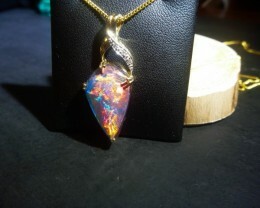 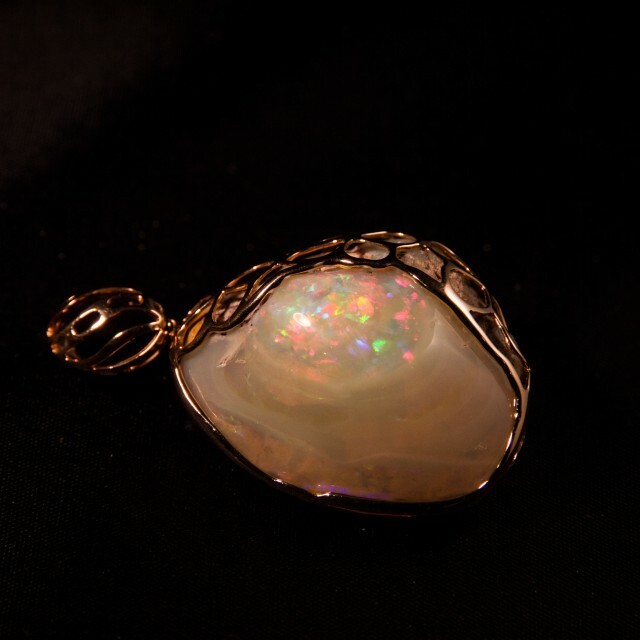 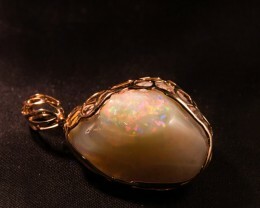 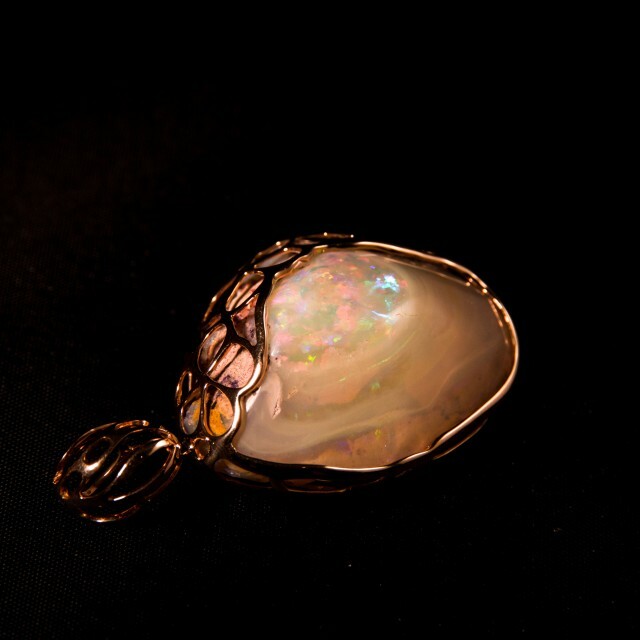 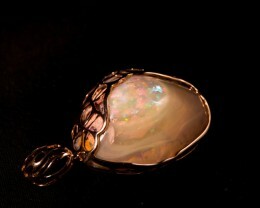 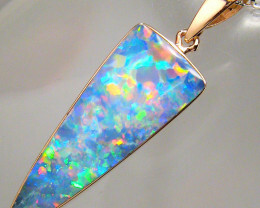 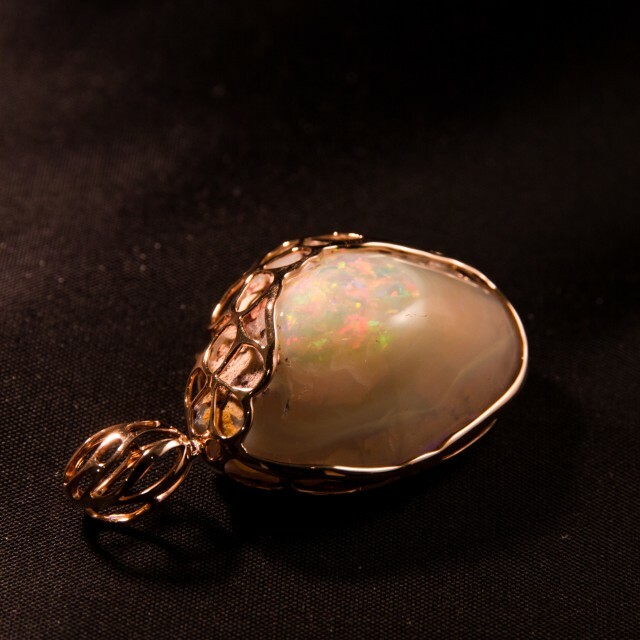 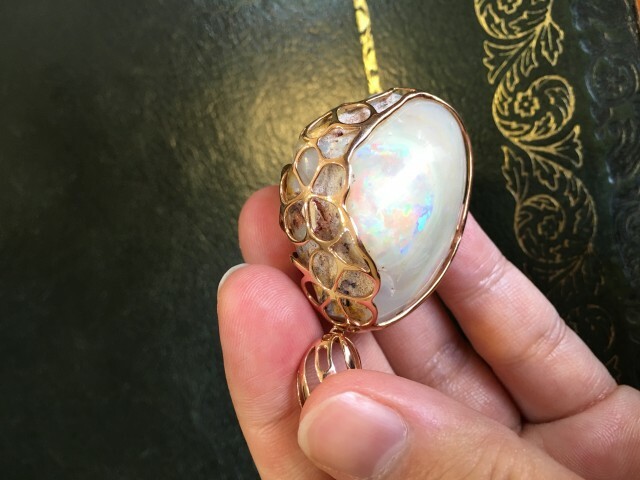 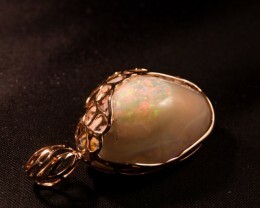 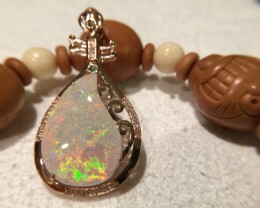 The rose gold and the opal are weighted 118.85 Ct. 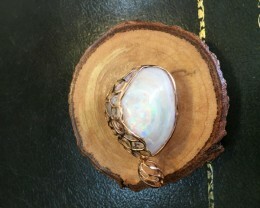 The dimension listed is the length, size and thickness after the gold fitting.